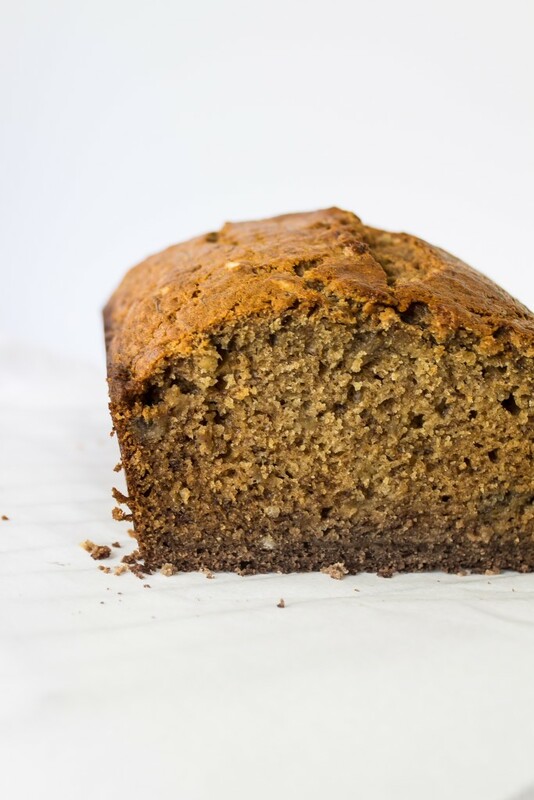 Brown butter banana bread – say that five times fast. I’ve been into brown butter lately. If there is butter in my kitchen, it will be browned. The crackling melting butter smell fills the house and the nutty flavor gives depth to and enhances any recipe. Cookies, cakes, bars, roasted vegetables, pasta, even brown butter banana bread. Let’s do it. 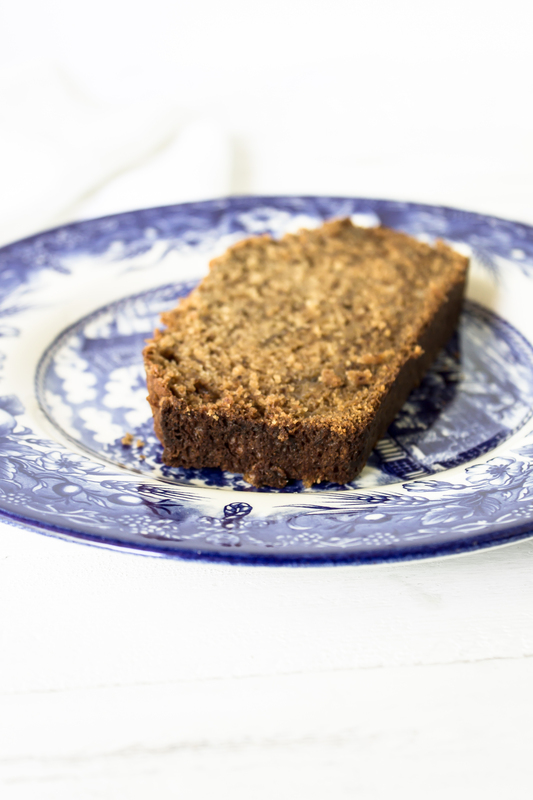 I’ll let you in on a little secret: I don’t even like bananas, but I love banana bread. Some people ask if it is the texture of bananas that I don’t like, since I do like the bread. Correct, I don’t like the texture. I don’t like the taste, or the smell either. I usually have Will mash the bananas for me when I make banana bread. I know, it’s an embarrassing aversion. It’s not that I can’t mash them, but if he is around and willing, it saves me from turning up my nose during the process. I should work on that. But the great news is, even though I don’t like bananas, I loveeeee this brown butter banana bread. I have made a lot of banana bread recipes, in search of on that is as good as my grandma’s banana bread. Most of them were good, but not great, until this one. This one is great. I confess, I didn’t wait for it to cool to cut it like I should have and I don’t regret it. We’re living on the edge over here. 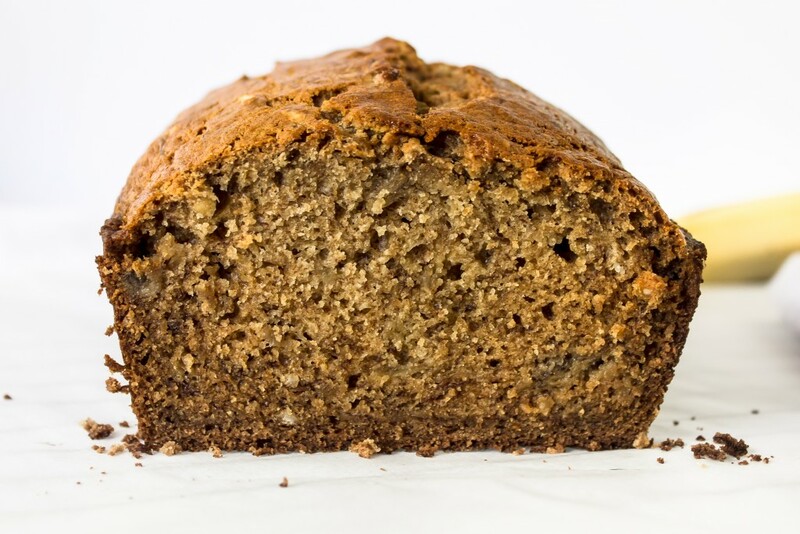 The slightly cinnamony scent of the banana bread billows out through the steam as you slice into the warm loaf. 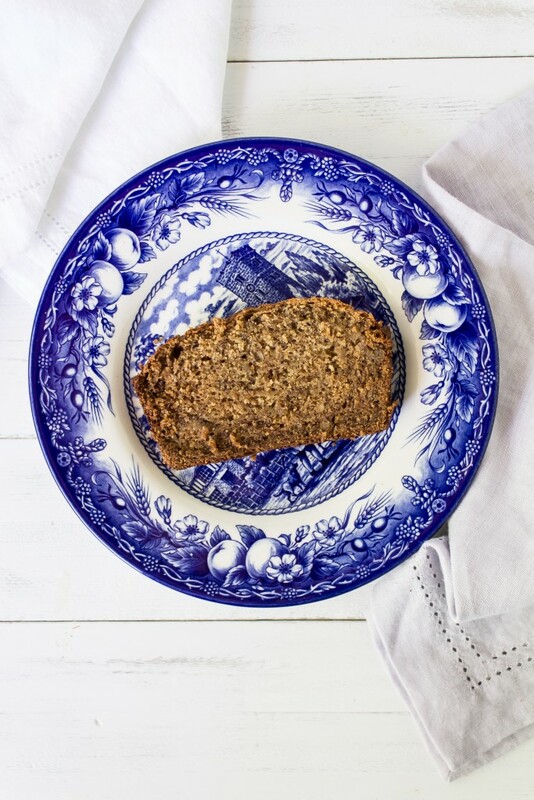 The bread has a rich flavor and lots of specks, as any good banana bread should. The crackling melting butter smell fills the house as you are making it, and the nutty flavor gives depth to the soft bread. The warm bread is delicious when topped with another pat of butter, which melts into all of the nooks and crannies of each slice. Once it cools down a bit of cream cheese spread across the bread makes it the perfect snack. 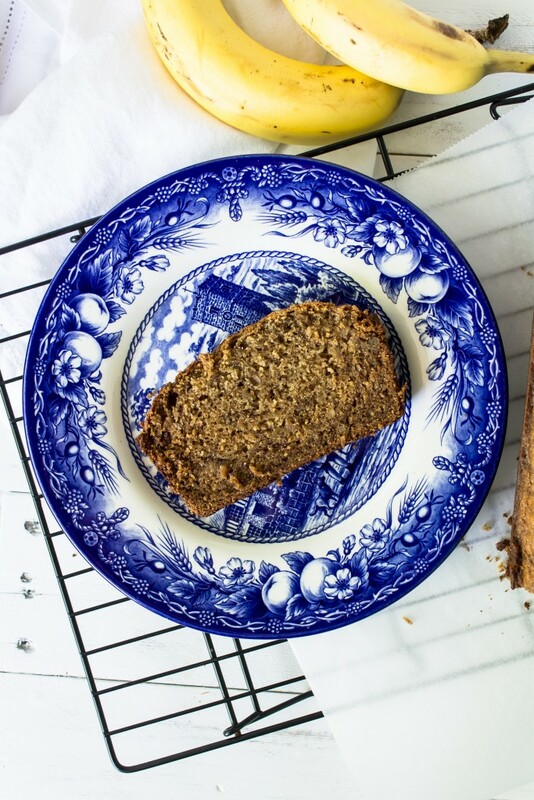 Excuse me while I make a cup of tea, pour a glass of milk, and cut another slice of brown butter banana bread. Preheat the oven to 350 degrees F. Spray a 9×5-inch loaf pan with nonstick cooking spray and set aside. Place the butter in a saucepan over medium heat. Butter will begin to foam and crackle as it melts. When the crackling subsides, the butter will begin to brown. Swirl the pan around a few times as the butter cooks. When the butter browns and begins to smell nutty, remove the pan from the flame and transfer the butter to a small bowl and set aside to cool. In a large bowl, whisk together flour, sugar, brown sugar, baking soda, salt, cinnamon, and nutmeg. In a medium bowl, whisk together eggs, vanilla, and buttermilk. Stir in the mashed bananas and molasses. When the browned butter has cooled, whisk it into the banana mixture. Add the wet ingredients to the dry ingredients. Fold together, making sure to scrape the bottom of the bowl to catch hidden pockets of flour. Break up all of the flour but try not to overmix. Pour the batter into prepared pan. Bake for 50 minutes to 1 hour, or until a skewer inserted into the center of the loaf comes out clean. Remove the loaf from the oven and allow to rest in the pan for 15 minutes. Invert onto a wire rack to cool completely before cutting a slice (if you can wait that long ;) ). 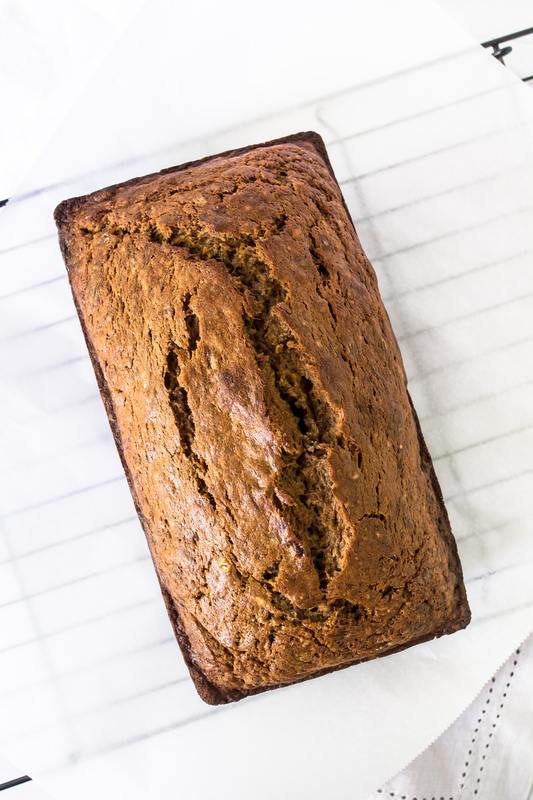 This banana bread stays fresh for about 4 days, when wrapped in plastic wrap or aluminum foil, though it has never lasted that long in our house. If you need to make it ahead of time, it also freezes well. Based on brown butter banana bread from Joy the Baker.